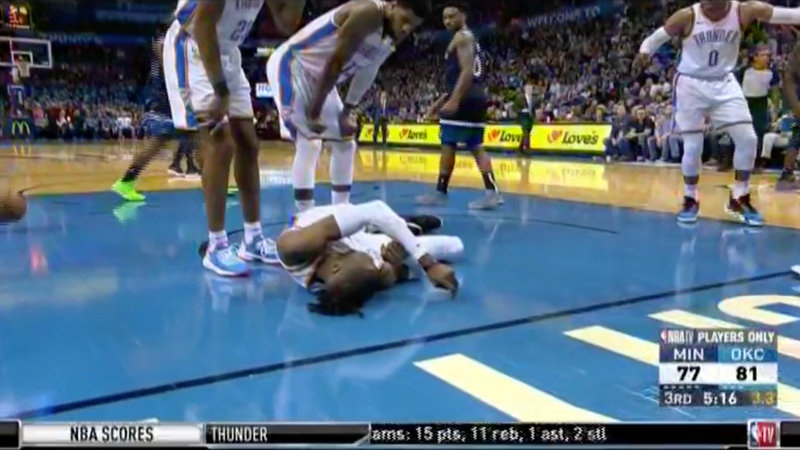 A scary moment happened in the Timberwolves-Thunder game tonight, as Thunder forward Nerlens Noel had to be stretchered off after he apparently got knocked out by hitting his head on the court. 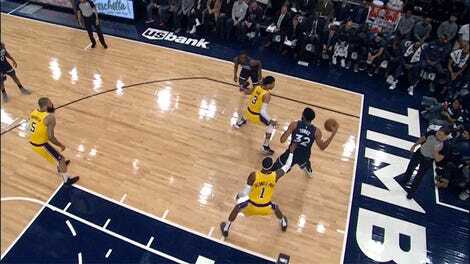 Noel was going up to contest a drive from Andrew Wiggins, and when he took an elbow to the face from the Timberwolves player, Noel fell to the ground and hit his head hard. 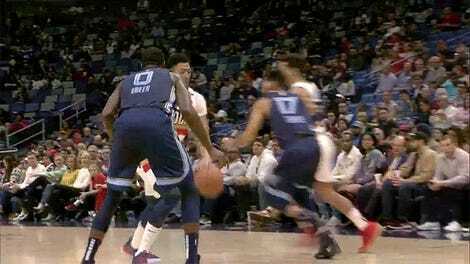 Noel looked basically immobile on the court, and got taken off the floor on a stretcher a couple of minutes later. We’ll update on Noel’s condition as word becomes available.